Smartphones now account for nearly two out of every five phones in the Middle East, according to the latest research from International Data Corporation (IDC), with smartphone volumes up 16.4 per cent in Q2 2013 when compared to the same quarter in 2012. IDC includes Turkey but excludes Egypt and North Africa in its Middle East figures. Nokia remains the brand leader for the overall Middle East mobile phone market, with 45.2 per cent share of the market's volume. Samsung, which ranks second, had 18.3 per cent share of the overall handset market for Q2 2013, but held nearly half of the smartphone market, where it outsold Nokia by almost five to one. 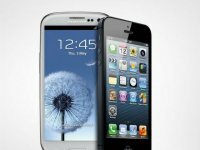 The South Korean giant shipped nearly half of all the smartphones sold in the region in Q2 2013, with its Galaxy SIII and SIII Mini models selling extremely well. Together, they outperformed Apple's iPhone 5 and also outsold Samsung’s new Galaxy S4 flagship, which was priced well above the SIII. Apple's overall smartphone share was slightly down quarter on quarter at 11.4 per cent, as consumers awaited the launch of the next iPhone iteration. Nokia's smartphone share crept back up into double figures, increasing from 9.7 per cent in Q1 2013 to 11.8 per cent. Symbian models are now being phased out as the Lumia Windows Phone lineup is extended, and it was the vendor's cheaper Lumia models that helped stage its rebound. BlackBerry held on to its position as the number-two vendor in the smartphone category, but its new Q10 and Z10 devices have made a slow start to life in the market, accounting for just 13.3 per cent of the vendor's sales in the second quarter of 2013.